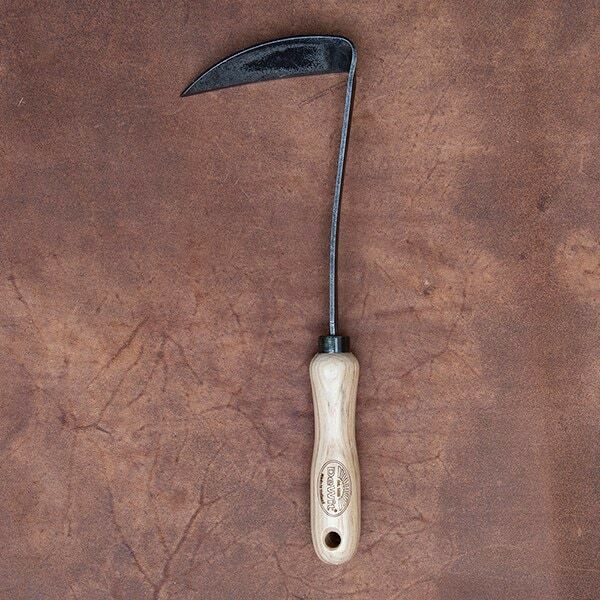 Similar to their Cape Cod weeder but with a larger blade, the De Wit Japanese handhoe is a lightweight but incredibly sharp tool for tackling weeds. Shaped like a mini scythe, the hoe is forged from a single piece of carbon steel for exceptional strength and sharpened on both sides of the blade for maximum efficiency. 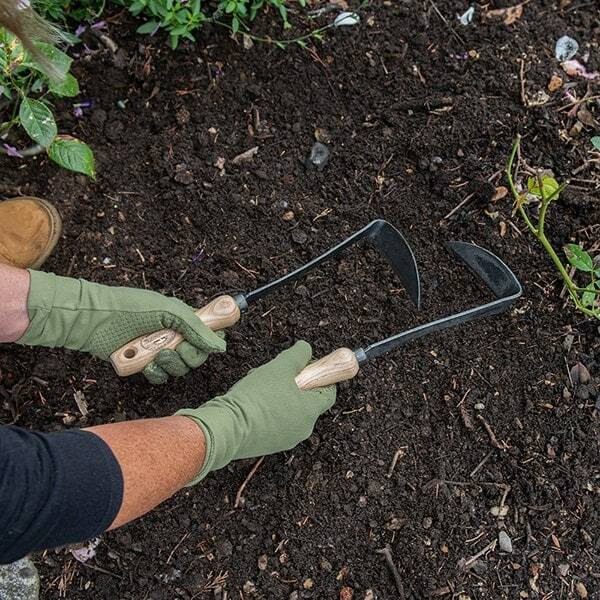 Excellent for slicing through even the toughest perennial weeds, the hoe can be inserted below the surface to access roots lurking underneath mulch and bark. It's also great for loosening soil, digging planting holes, lifting tap roots, pruning small plants and even cutting grass. The hoe is fitted with a smooth ash ergonomic handle for a secure, comfortable grip. Please note: the hoe is available in both right-handed and left-handed versions. This model is for right-handed use. Used for weeding and loosening of soil. 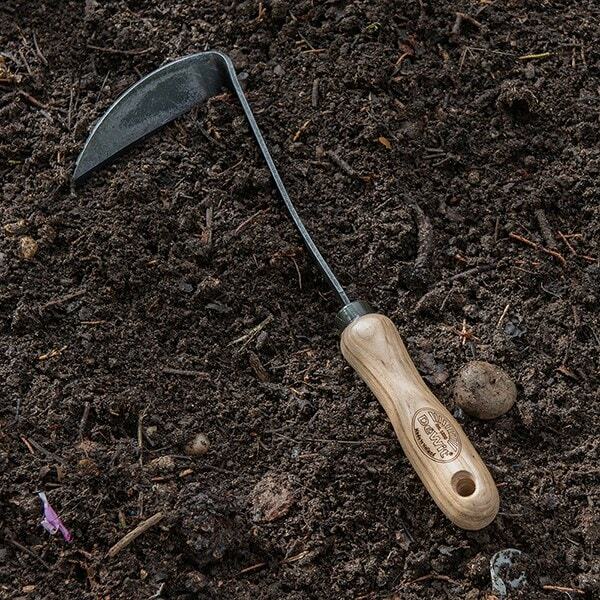 It's sharp edge easily cuts through the soil and the sharp point is great for digging roots out. Hand hoeing makes it easier to target specific areas.